Size:XS - Neck 8.5\" Chest 11-15\" | Color:Black Size:XS - Neck 8.5\" Chest 11-15\" | Color:Black No More Tugging, No More Pulling! With the Downtown Pet Supply Comfort Control Dog Harness walks will be a delight, while you stay in control and your pup stays comfortable. 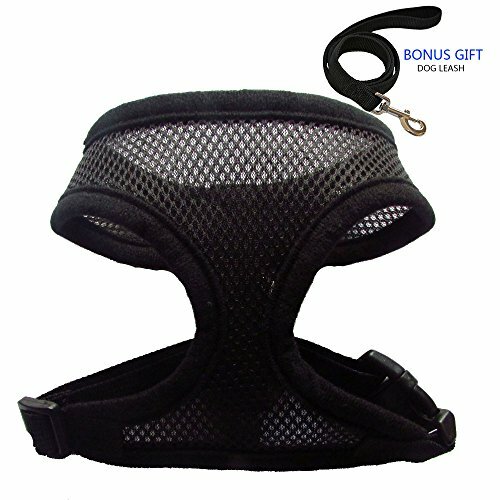 The harness is durable yet stylish and it’s made of light weight breathable mesh. The back hook (O ring) harness design will reduce tugging and pulling on your pal’s neck. It’s safety, control and comfort all wrapped into one.